GodSaveMetal wrote: This is my first layout information for a YERASOV pedal; here is the 3000Volts pedal; herE is the layout from RUSSIA in the attachment you see all you want to!!!! ENJOY!!!!!!!!!! I recall the original Yerasov page contained way more files than the 14 listed at ESI. Anyone recall it beng so, or is it just me? I have a Yerasov Gamma FC-1 F.E.T. Color i loaned from a friend and i thought i'd ask if anyone has seen a schem before trying to trace it. With the gate section i'm quite sure the circuit is big. Anyone know anything about it? mirosol wrote: I recall the original Yerasov page contained way more files than the 14 listed at ESI. Anyone recall it beng so, or is it just me? Post entire PHOTOS ; to see it; and prerhaps somebody here made a schemo!! If anyone is interested, here's the link to the Pterodriver schematic. 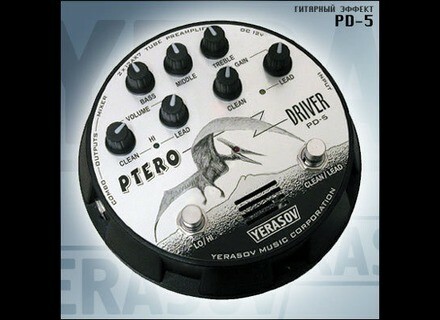 It's still on their site, but the actual Pterodriver has been discontinued and you can't access its page from the regular menu.